The saddest news has been the death on Saturday last of Robert Kirby. 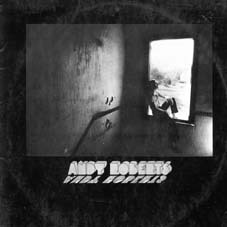 We met in the early 70s when Bob was making his name as an arranger, principally through his superb work with Nick Drake. Quite often he would be arriving as I was leaving Sound Techniques, or vice versa. He was a natural choice when it came to choosing an arranger for I’ve Seen The Movie on the album Nina And The Dream Tree, and he added an ethereal, other-worldly quality to that track that was quite superb. That was in 1971. When Adrian Mitchell asked me to rewrite the music for his musical Mind Your Head in 1973, I had no hesitation in asking Robert to play keyboard in the onstage band at the Shaw Theatre. He was a great contributor, both musical and social – he had a huge sense of fun, as well as a fabulous tenor singing voice. But Bob’s greatest part in my life was to come. In 1978, we took on the daunting task of writing and recording a suite of poems, set to music, in one single day at Abbey Road. This was to be Summer With Monika. 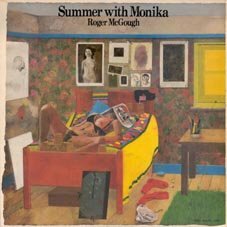 The 3 collaborators at first were Roger McGough (poems), John Megginson (arranger) and myself (composer), but when it became apparent that the work involved in the complex arrangements was bearing down all too heavily on Meggo, I called Bob and he wrote the most sublime contributions almost overnight, it seemed. He was a tower of strength, conducting the orchestra for the whole day, on both his own and Meggo’s arrangements. Later that year we mounted a theatre version of Monika at the Lyric Theatre in Hammersmith, and Robert was again in the band, along with myself, John Megginson, and the brilliant Peter Brewis. It was a fascinating show, and a very happy time. It was in the dressing room at the Lyric that Bob told me he was semi-retiring and had got a job in market analysis. I was mystified at the time, but often since, when my own work would run dry for a bit, I could see why he would make such a choice. As it was, Robert’s success with Ipsos was so notable that he was placed in charge of his own part of the business, and never again had to worry about where the money was to come from. But he was always available for arranging duty, especially as the fame of his earliest work with Nick Drake grew to be an unstoppable global phenomenon. Today I heard of his passing during heart surgery last Saturday, and I know that those jokey emails are silenced. Bob was, I think, 61 – a couple of years younger than me. I shall miss him always – he was one of the cornerstones of my work in the 70s, and I was hugely enriched by him, and his talent.